Overlooking the waters of the Biscayne Bay sits a mansion where all hell has broken loose. Madison Westin has found herself and her bombshell best friend, Fabiana Merceau, caught up in deep trouble—yet again. This time, Fab is implicated as the only suspect in a high-profile double homicide on a beautiful private island. The girls have to act quickly and quietly, searching for a way to set the record straight and secure Fab’s freedom. Along the way, Madison must choose between two men, evade an ever-watchful mother, and dodge shady criminals as they try to solve a Murder in Paradise. 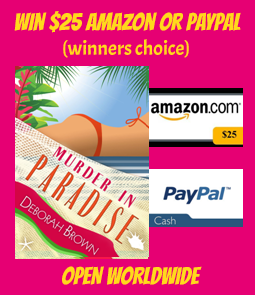 Murder in Paradise, is the fourth novel in Deborah Brown's Paradise series, can be read as a stand alone book. ""The series is addictive, hot, fun, can't-put-em-down reads." "Great as stand-alone reads, but they're like chips...you won't be able to devour just one!" "Reminds me of Sin City: everyone leads a double life, women pack handguns, all have secrets, and nothing is wholesome." 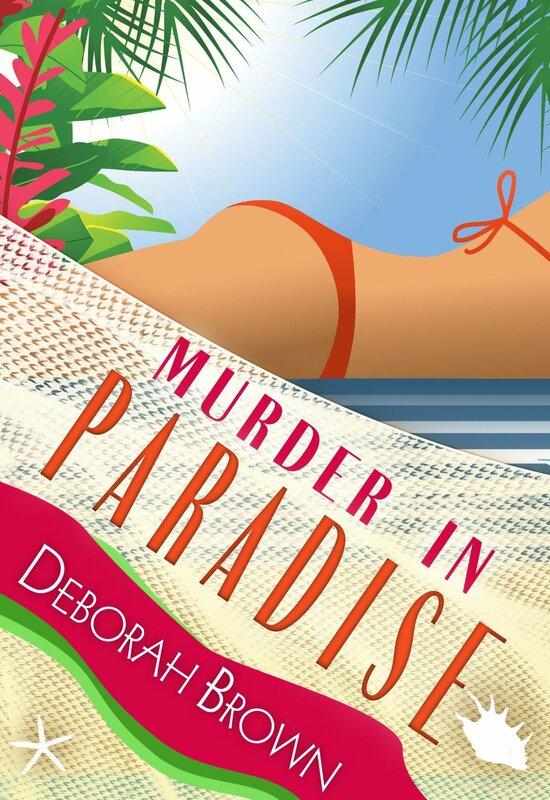 Murder in Paradise by Deborah Brown is a 2014 Paradise Publishing, LLC publication. I was provided a copy of this book in exchange for an honest review. Madison is back for another screwball adventure, only this time it's a lot more personal. Fab is in deep trouble and it will take all of Madison's investigative skills and charm, plus some help from all her friends and family to keep Fab out of a prison cell. Valuable art , ex- husbands, and murder- just what Madison needs on top of her tumultuous personal life. Zach still hates Fab being roomies with Madison and still hates Madison's career choices. The two are still arguing about the direction their relationship should go and Madison is still finding herself sorely tempted by Creole. I have to say this was the very best book in the series to date. These characters have really developed over time and the plot in this one was really, really absorbing. All the characters I have come to know and love are back and play their respective roles perfectly. Madison's mother and Brick tickles my funny bone and I have to say I might have tiny crush on Creole. I love following the reviews for this series, so much fun! This group of characters are so much fun to follow. I think my paradise would be right there with them. Thank you for the great review. So happy you're enjoying the books.